There comes a time in each home renter’s life where they start to dream of something more. The renter becomes tired of giving away their monthly check for a living space instead of having the money be invested in their own home. They may desire to have a place they can change and transform into their very own, perfect space. They start to dream of owning their own home. Home ownership is an exciting goal for many people, but it can also seem like a daunting, confusing, and expensive task to go through the home buying process. Luckily, there is a book that can help future home buyers through this task, Home Buying Kit for Dummies. Reading up on Buying a House for Dummies can make the home buying process simple, as it clearly explains every piece of information needed to purchase a home. 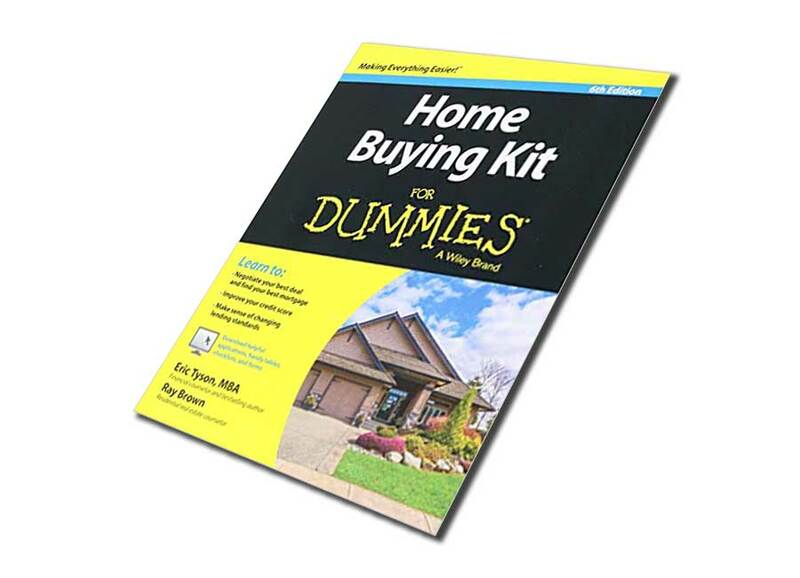 What Does Home Buying Kit for Dummies Cover? 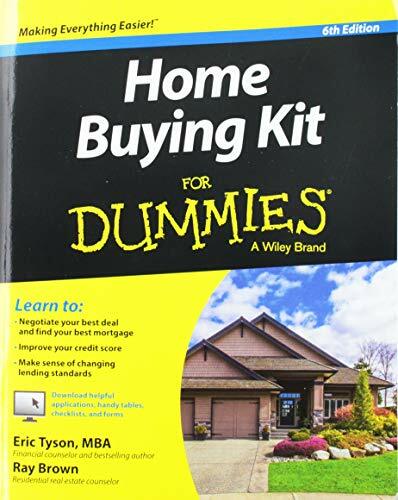 Buying a House for Dummies is written by Eric Tyson and Ray Brown and uses their time-tested advice for the process as well as strategies that are necessary to know in order to purchase a home in the current market conditions. The book teaches the reader how to make smart financial decisions and get a good deal on their future home. It explains how to qualify for and receive a mortgage loan and how to choose the right home from features to location. It truly encompasses every piece of information needed to have a smooth home buying process. One great feature of this book is the credibility of the authors. Eric Tyson has written many For Dummies books on financing, investing, and small business. 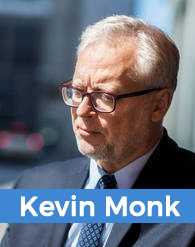 His books have been best sellers and have helped countless readers with their financial and business goals. Ray Brown has been working in the Real Estate profession for over forty years and works in public speaking on the topics inside residential real estate. With Eric Tyson’s For Dummies experience providing clean and easy to understand advice and his financial experience, as well as Ray Brown’s real-life real estate experience, there could not be a better team of professionals to receive home buying information from. Another great piece of this book is its time-tested advice. The words in these pages are words that have already helped first time home buyers for years. They are facts and tips that are proven successful. Not only does the book provide time-tested advice, but Buying a House for Dummies also provides advice and information on current market conditions. Some pieces of advice that worked years ago may not work now with a completely different home buying market, so this is essential in the advice in the book being and staying successful. This book is step-by-step, and home buying can include a lot of steps. With this information, home buyers will know everything they need to do to purchase a home from finding the perfect location to the inspection to closing the loan and moving in to their own dream space. Buying a House for Dummies also stands out because it is simple and easy to understand. Many real estate terms can be confusing and intimidating to first time home buyers. It is hard to enter a world of complicated, brand new terms and be expected to understand them with little to no outside help. With this book, it is easy to trust that readers will understand every complicated term from what is needed to make an offer to understanding their mortgage terms and conditions. Buying a House for Dummies can be purchased for around $20 from a variety of sources. It can be purchased in person in stores like Target or Barnes and Noble. It can also be purchased online, in new or used condition, on websites like thriftbooks.com or AbeBooks. It is easy to find from many sources on Google’s shopping tool. It can be purchased as a paper copy or as an ebook. With many buying options and an affordable price, this book is easily accessible. Buying a House for Dummies is a simple, step-by-step guide to all aspects of the home buying process written by a For Dummies writer and finance expert alongside a residential real estate expert. Buying a House for Dummies is extremely easy to read, as are all of the For Dummies books. The graphics in this book are simple and add to its appeal and its easy readability. Overall, Buying a House for Dummies has significant value for first time home buyers as a simple and easy to use guide to what can be an intimidating process of buying a home. It has extremely credible authors and an extreme depth of information for an affordable price. This book is written by Abe Lee, a Hawaiian man who has helped hundred of people buy their first home. He explains the home buying process and also provides insight to many organizations that can provide resources to help first time home buyers. This book has an affordable price, being available for about $ on Amazon. 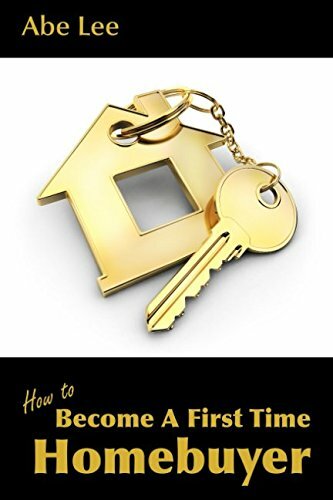 This book is filled with helpful information from a man who has experience in helping many people through the first time home buying process. The author states that his process is not the only way to buy a home, but his way is a proven process that has helped many people across the country. It is also a good book for real estate agents to read to better help their first time home buying clients. This book has been reviewed as easy to read and easy to understand. The graphics in this book are simple and easy to understand, though possibly not as appealing or professional as other books of its kind. This book has valuable information written by an experienced real estate professional, is easy to read, and is available at an affordable price. It is a good read for first time home buyers as well as the real estate agents who represent them. It has great reviews, but may not be as well known or professional as other books of its kind. 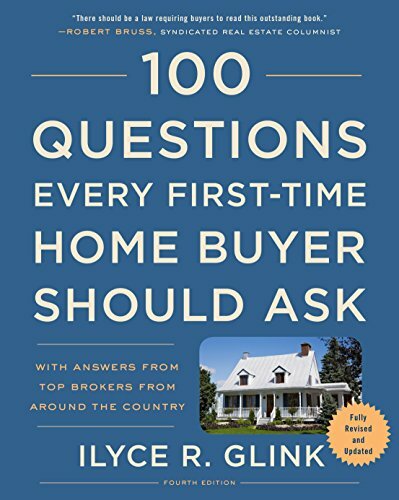 This book answers the top 100 questions every first time home buyer should ask, and in doing so explains everything a buyer needs to know in the process of purchasing their first home. It is written by Ilyce Glink, a trusted name in the real estate world. It is made up of advice from top brokers around the world and Glink’s personal experience, giving it a well-rounded perspective and filling it with strong advice. This book has an affordable price and is accessible in many different ways. It can be bought on Amazon in paperback or ebook form for about $15. This book has a very credible author who writes from her own experience as well as information from many other trusted professionals in real estate. It includes a depth of information with its 100 question format. Though it contains a lot of information, reviews report that it may be overwhelming or not extremely concise in actually answering the questions that first time home buyers ask. This book is filled with information and is weaved together through personal stories, which helps it to be easy to read and understand. With its amount of information, though, it may be overwhelming. This book has simple and professional graphics, adding to its appeal and readability. This book has a depth of information and has a strong author with credible sources. It is easy to read and understand, but it may be overwhelming which is not what first time home buyers need in an already overwhelming process. This is a short book that is packed full of simple and easy to read information for first time home buyers. This book is affordable as a print version at around $10 on Amazon, but extremely cheap as an ebook version for around $3 on Amazon. This book is written by a real estate professional and uses simple terms to explain the home buying process to first time home buyers. This book has been reviewed as extremely easy to read. 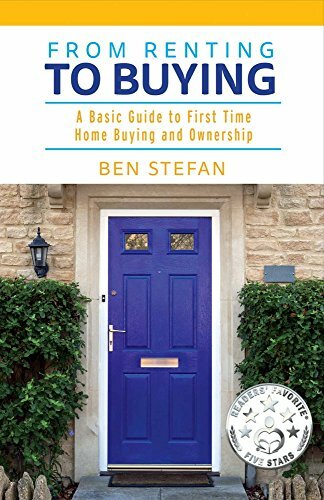 Its author writes in simple and easy to understand terms, helping first-time home buyers understand the complicated process. The graphics in this book are simple, just possibly not as professional as other books of its kind. This book is simple and easy to read, and is a great value for its extremely affordable price. It has a credible author who has experience in real estate, but is short and may not have as much information or be as professional as other books of its type. Buying a home for the first time can be an extremely difficult, overwhelming, and intimidating experience. It includes a lot of terms and processes that are particular to real estate only, causing first time home buyers to need to learn a lot of brand new information to understand the process. Luckily, as we see in this article, there are many resources in book form to help first time home buyers through this process. The right book can take a difficult process and give the new buyer the understanding and confidence they need to have a smooth process and can help them purchase the home of their dreams. After looking at other books meant for first time home buyers, and books that are good competition, it is still clear that Home Buying Kit for Dummies, or Buying a House for Dummies, is the strongest option available. Home Buying Kit for Dummies is a slightly more expensive option, but after looking at the details of its competition it is clearly worth a few extra dollars. This book encompasses all of the information a first time home buyer needs to understand the process. It answers every question a first time home buyer could have, so it will be the only book necessary to understand the process of getting into a new home. It includes time-tested advice as well as advice for the current market conditions. It explains all terms that are necessary to understand. It also is the most simple and easy to read option available. For Dummies books are known worldwide to be simple and easy to read, and its reviews back this proof up for this exact edition as well. As well as being easy to read, For Dummies books are professional and widely known. It is th name of a book that is trustworthy and has been for years. There are no chances being taken on a For Dummies book, including this Buying a House for Dummies version. Overall, it is clear that there are many books that are widely available to help first time home buyers through a process that can be overwhelming. They have good reviews and contains valuable information, but we turn to Buying a House for Dummies because of its ease to read, amount of valuable information, trusted authors and widely known book name. We trust that Buying a House for Dummies is truly a one-read book that will cover every topic necessary to know in a trustworthy way at an affordable price. Other books may have pieces of these qualities, but Buying a House for Dummies has it all.